Nagano’s Country Lifestyle as Expressed by Mayumi Takahashi’s Doll Art. Life in the countryside is seen as simple and carefree. Iiyama City-based artist Mayumi Takahashi has an innate ability to capture the essence of life in the countryside through her doll art. Take a step into the Mayumi Takahashi Museum of Doll Art, and take a step into Nagano's quaint rural world. Mayumi Takahashi began making her signature doll art in 1998. She lives in Iiyama City on the northern edge of Nagano Prefecture, where she has a museum devoted to her doll art. 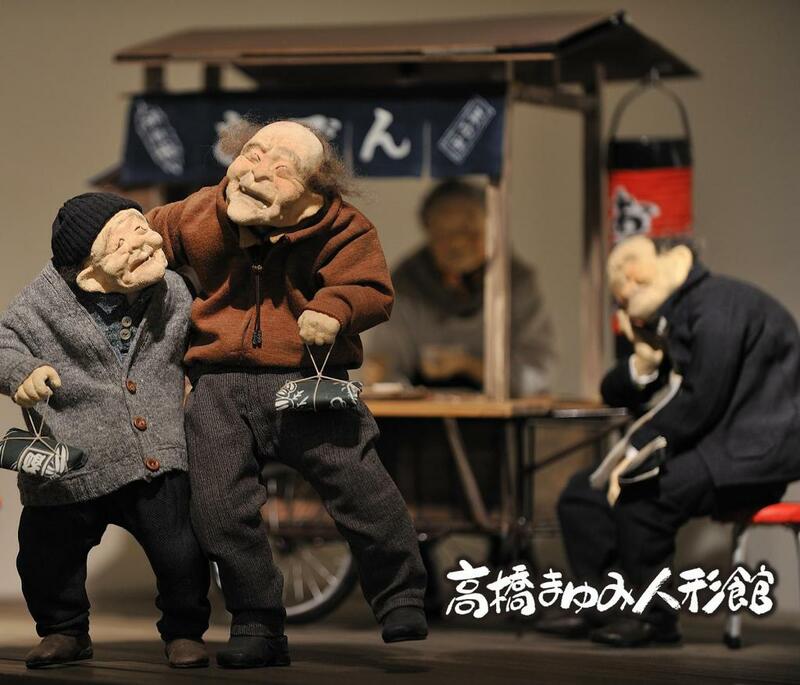 Galleries 1, 2 & 3 have revolving exhibits of dioramas depicting scenes from Nagano's countryside featuring Takahashi-san's dolls. 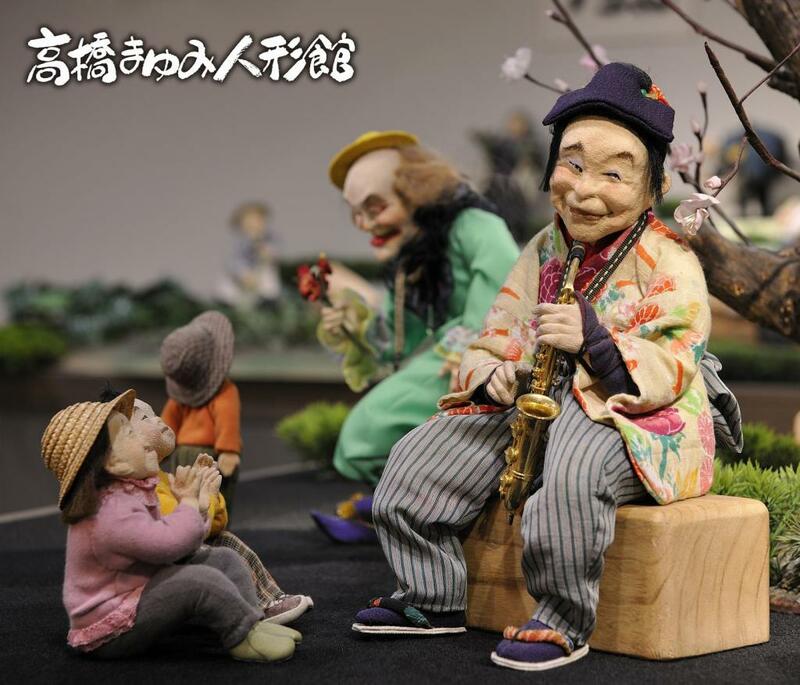 The whimsical expressions on their faces will remind you of the oba-san and oji-san (little old ladies and men) that make the countryside such a warm place. The Passage is lined with photographs of her dolls placed in outdoor settings that enhance the charm of her artwork. In addition there is the Creation Room workshop and Movie Corner that shows videos of Takahashi-san creating the dolls. 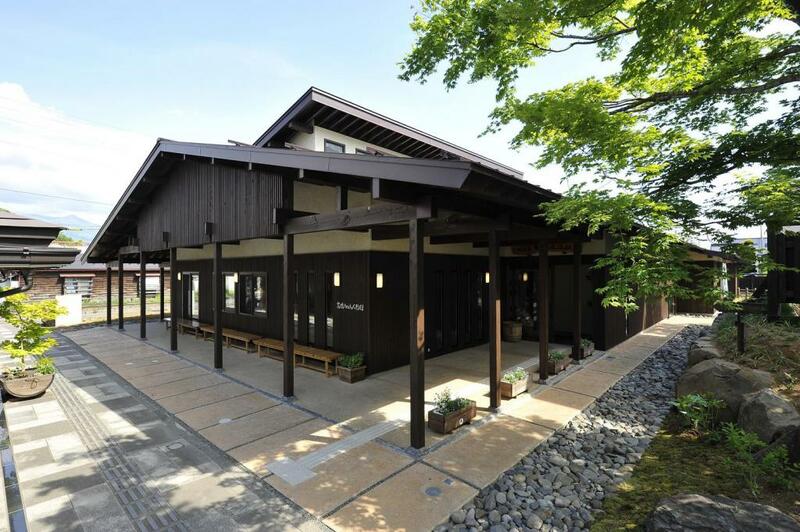 A Cafe and Gift Shop round out the museum, making it worthy destination to come see on a trip to northern Nagano. Closed Wednesdays (except if a national holiday, during peak Golden Week and O-Bon holiday seasons, and Oct.). Also closed from 31-Dec. to 2-Jan.
610 for adults, 410 for children. Group, Student and Disabled discounts available. Limited English explanation but the dolls' magic doesn't need words to be enjoyed. Just to the west is the unique 'Butsudan-dori', a street lined by shops that make Buddhist altars.